Thrive during long term extended stays at our Thousand Oaks, California hotel. Voted by TripAdvisor guests as a Certificate of Excellence award winner in Thousand Oaks, CA. Our newly renovated all-suite hotel is the closest hotel to the Amgen campus, Cal Lutheran University and offers perfect amenities for travelers on special projects or relocating to Thousand Oaks. 10 restaurants within walking distance. The TownePlace Suites by Marriott Thousand Oaks, California hotel is located off US-101 with easy access to Burbank Bob Hope and Los Angeles International Airport. Our extended stay hotel is also within driving distance to Malibu and Ventura Beaches, Santa Monica Mountain Trail and Conejo Valley Wine Trail. 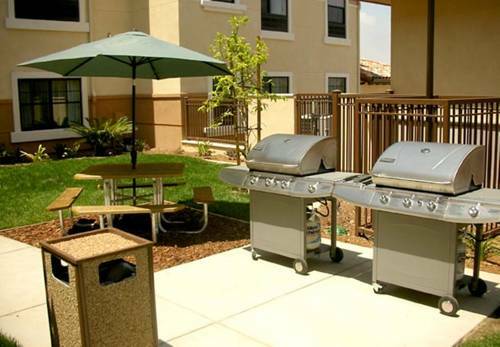 TownePlace Suites by Marriott is a Thousand Oaks extended stay all-suite hotel with fully equipped kitchen, complimentary continental breakfast, basic wireless internet and parking. When life takes you on the road for an extended period of time, our Thousand Oaks hotel ensures a memorable stay!